Let a loved one know you're thinking of them with a card from Lawson Falle. Whimsical artwork combined with KJV scripture and heartfelt sentiments are sure to bring a smile to your loved ones! 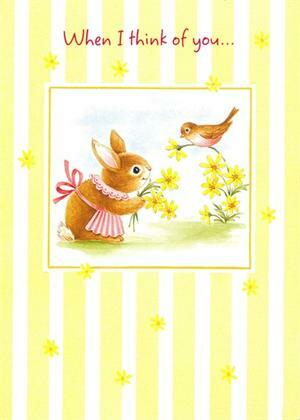 Includes 12 cards, 3 each of 4 designs, envelopes plus 2 bonus postcards; cards measure 4.75" x 6.5"; postcards 4.25" x 6".